The views are, on top row, left to right: “Left”, “Top”, “Right”. On the bottom row is the “Front” view. 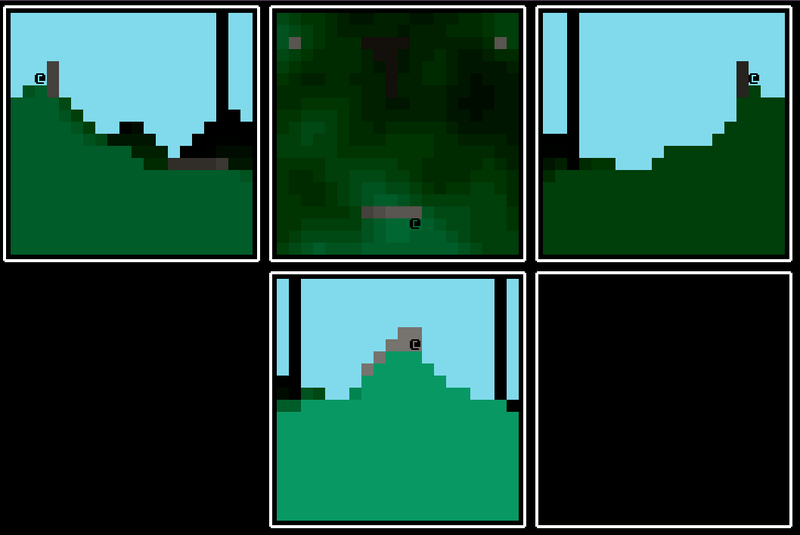 The left and right views are basically if you took the scene and split the world in half, vertically, on either side of the player, so the left view is everything on the same vertical slice as the player, and to the left, while the right view is everything on the player’s slice and to the right. 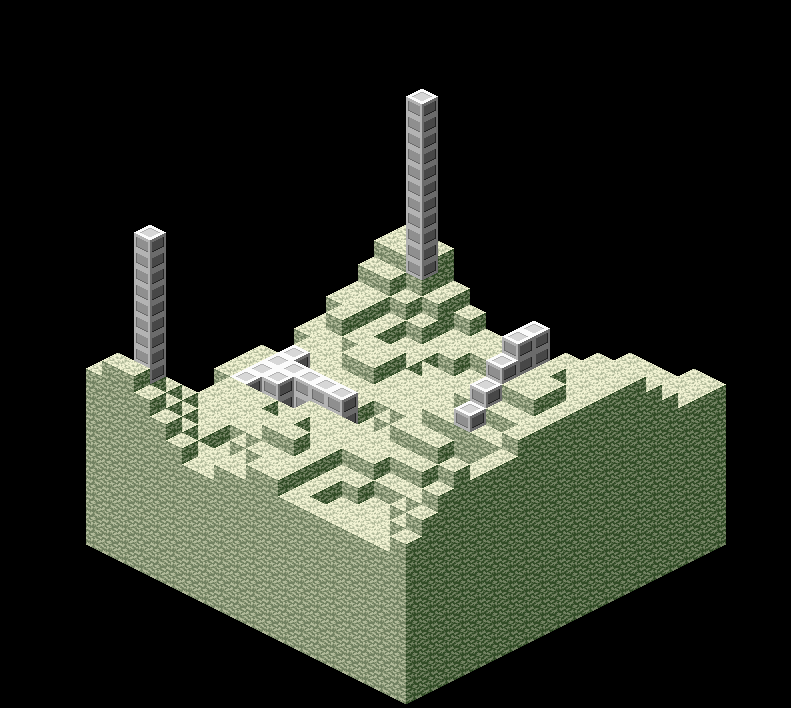 It seemed to work not too badly when I was just dealing with a flat world I placed blocks in, but having added some perlin landscaping it doesn’t seem so clear anymore. The isometric view can be ambiguous sometimes. (It would be better with shadows). Even so it trumps the multi-view for ease of “getting your head round”, at least in my view. I’m still experimenting so we’ll see what happens.